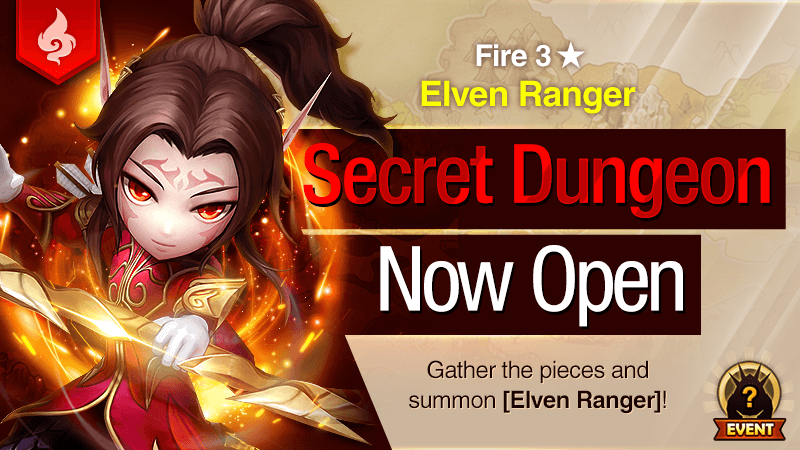 Meet the [Elven Ranger] with Fire Attribute in the Secret Dungeon from Feb. 1st 12pm - Feb. 4th 12am. Gather the Summoning Pieces and summon the 3★ [Elven Ranger] with Fire Attribute! The Secret Dungeon is also a rich source of Mana Stones, so don't miss out! - The Secret Dungeon for the [Elven Ranger] will be available at the Cairos Dungeon during the event. - Gather the Summoning Pieces by clearing Dungeons and summon the Monster! - You can enter the Secret Dungeon by going to Battle → Cairos Dungeon → Secret Dungeon.